Domestic Rainbow pattern walkway and patio stone. We have two types of rainbow pattern walkway and patio stone - domestic and imported. Both are colorful, the imported is even more colorful. Very hard to describe. The stone is overall fairly light in color but with intense graining and color bursts in a rainbow of colors. Often invokes a southwestern feel. Another stone that should be seen. The colors are intense and uniquely beautiful. People often feel the stone has a southwestern look, or that they've seen those colors in the Grand Canyon. 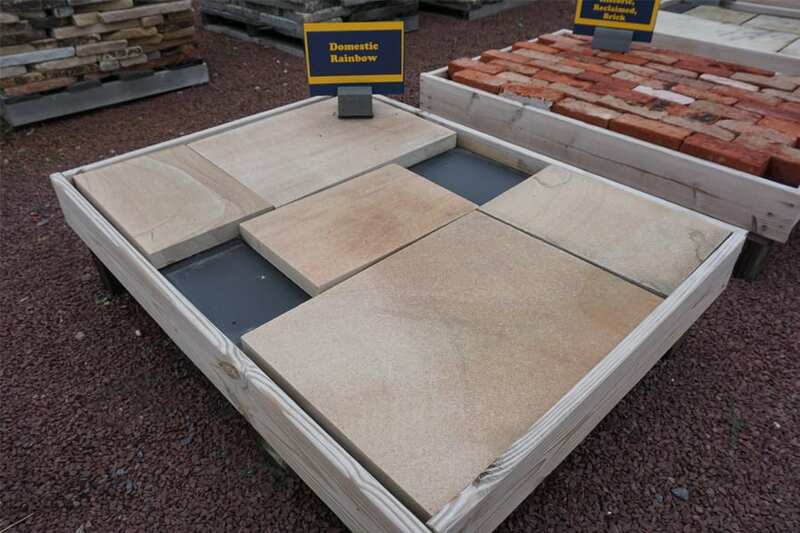 Part of a family of stone products that includes tumbled walkway and patio stone, and irregular sawn patio stone. When the stone is wet the colors become even more intense. Very easy to work with. Domestic Rainbow walkway and patio stone example. Why do you call it domestic? We have two types of rainbow walkway and patio stone. Domestic comes from Pennsylvania, whereas imported comes from overseas. The imported stone is even more colorful than the domestic. 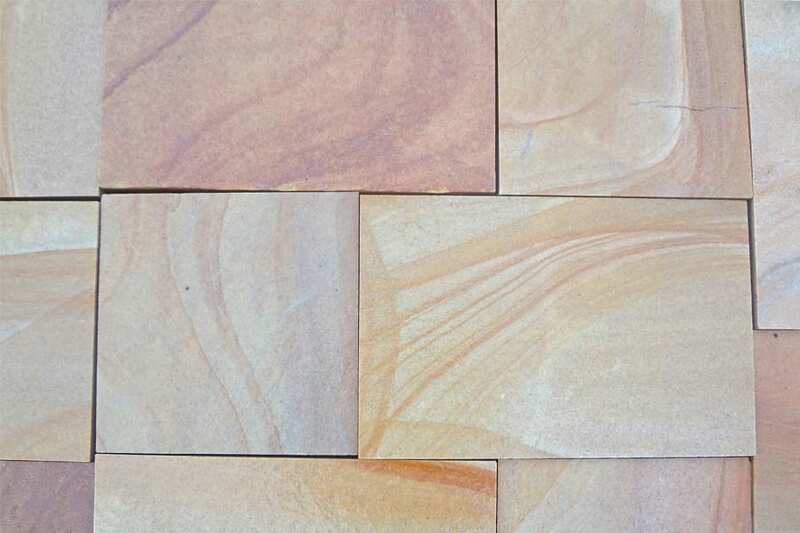 Wicki Stone carries these products that match or compliment domestic rainbow stone.